David has spent 15 years as a multi-award winning adviser at HSBC Bank. David chose to work with Vision Independent Financial Planning because he felt that it was clear that their values, in terms of integrity and ethics, are directly aligned with his own. 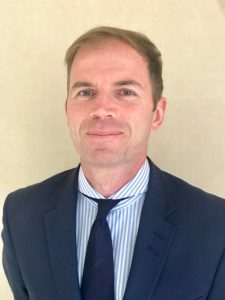 He is now looking forward to being able to help clients by providing tailored, independent advice using solutions from the whole of the market. David has a passion for building long standing relationships with clients built on trust and exceptional service and by truly understanding clients priorities, needs and objectives. He will now be able to offer bespoke advice to meet these needs whilst using plain English to break down the often complex jargon and terminology associated with the industry. Away from work David lives in the Midlands and is married to Rachel. They have three children, Joseph, James and Ralph. The various clubs and activities that their children attend take up most of their spare time.